I thought this day would NEVER come. If there has ever been a post where I wanted to do cartwheels across my front yard from revealing the “after” of a challenging makeover, this would be it. Just so you know where this big undertaking started, this was how it looked before my upholstery-inexperienced self could get a hold of it. Well hello, Harvest Gold. Haven’t seen you in a while. 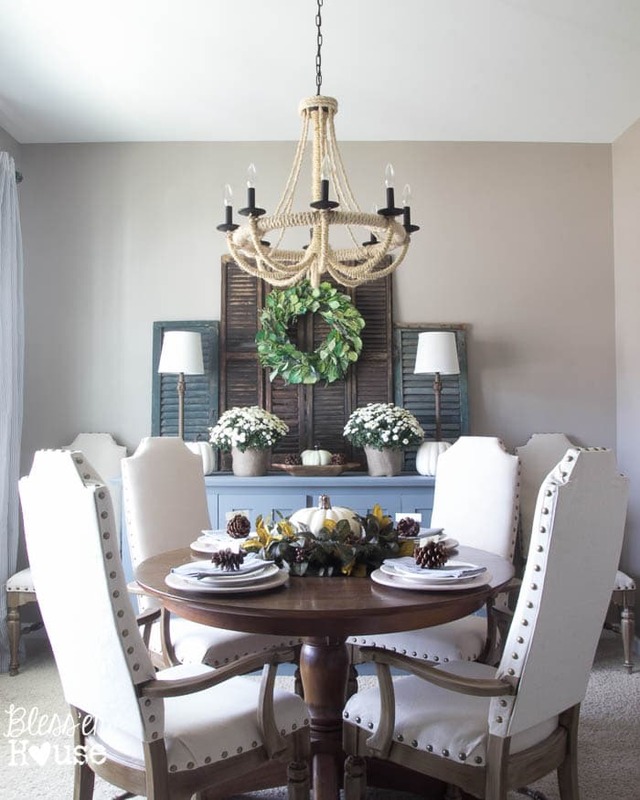 When I first started envisioning what I wanted in our still very bare dining room, I kept coming back to the same criteria in dining chairs- light linen/canvas, statement-making nailhead trim, and interesting weathered oak legs. They needed some lovin’ and a good bit of updating, and they looked nothing like my inspirations. But they had good bones. I simply couldn’t walk away from them. So my wonderful dad, who has worked in the furniture business for over 30 years, made the trek with me to pick them up. Not only did they have good bones, they were made by American Drew, a very high quality company, and they were incredibly sturdy. Huge plus! Thankfully, I had a lot of the supplies already on hand in my workshop and could borrow the staple gun. In the end, I only had to pay for the nailheads, drop cloth, spray adhesive, cardboard, and egg crate foam. Even without having a lot of the supplies, it’s still a bargain. My entire set of 6 chairs combined cost way less than even 1 Pottery Barn chair. Since I wanted to upholster the entire backs of the chairs, I knew the curves were going to be tricky. So Robert and I cut off the finials first. From there, my father-in-law, the woodworking master, gave us a few pointers, and we decided to cut straight edges marked with a level. We avoided cutting into the caning. Then ran the jigsaw over the straight marks. Yay! No more tricky curvy top! From there, I primed the bottom half of the chairs. Then I painted on two coats of Valspar Montpelier Ashlar Gray. Once the paint was dry, I used a sponge brush to put on a coat of the stain. I let the stain sit for about 10 minutes before wiping it off with a rag, and I worked in sections. And I was left with this rich wood tone with just enough gray peeking through to give it that weathered look. The wood grain texture on these chairs are amazing! Once the chairs were dried, this was where the hard part began. 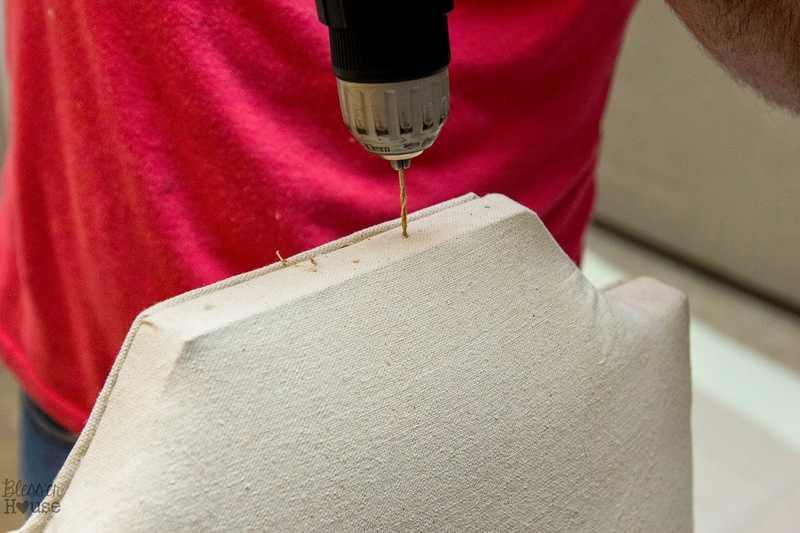 By the way, mattress foam toppers are way cheaper than specialty upholstery batting. And so so comfy! And cut out the traced shape. Using the cardboard as a template, I traced the egg crate foam as the batting. And cut it out with scissors. Then we sprayed the front of the chairback with upholstery adhesive. 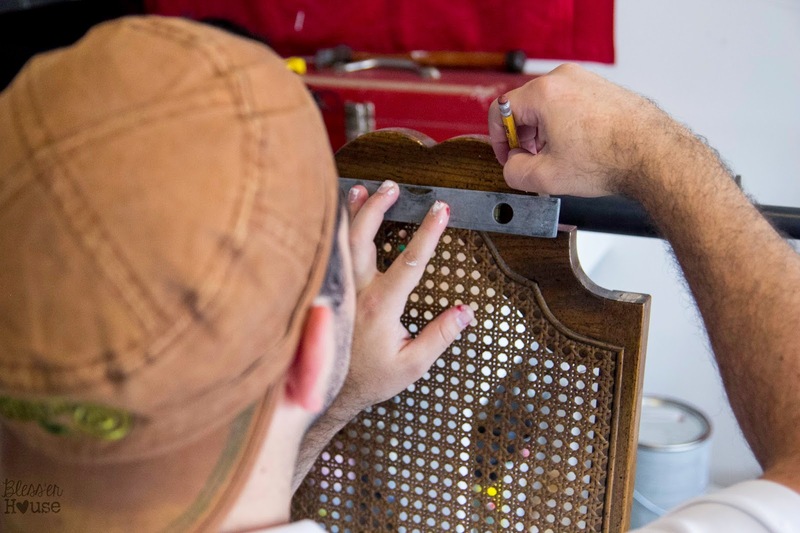 We pressed the batting onto the adhered chairback. 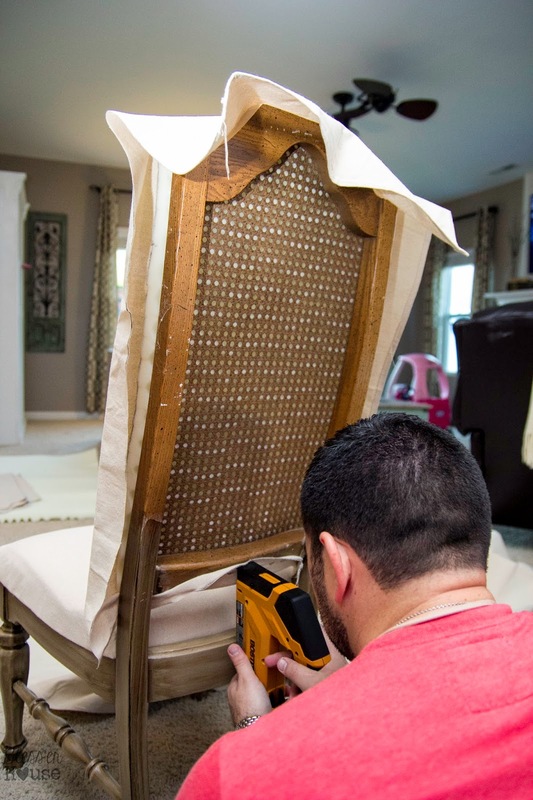 To decide on the amount of drop cloth fabric we needed, we measured the width and height of the chairback and added 4 inches all around to be on the safe side. 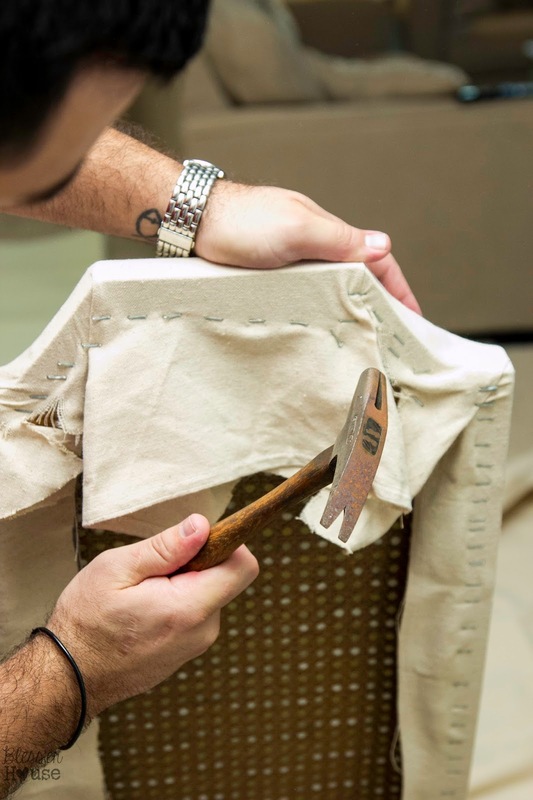 Our chairs were 16″x28″, so we marked the fabric to be 24″x36″ for the front piece. To create a panel for the back of the chairs, we used the cardboard template and traced around it, leaving an allowance of about 2 inches. We put these back fabric pieces aside for later. Once we started positioning the front piece of the fabric, it took some time to work with. We started by stapling the bottom center first. For the sides, I started by folding the bottom flap under to make it straight and stapled it around to the back of the chair. This was definitely a two-person job. As we worked our way up to staple the sides, I stretched the fabric up while Robert pulled the fabric tightly around the side and stapled, making sure the front was smooth with no puckering. Tricky stuff, I tell ya but it worked. At the top, I was thanking my lucky stars that we went with cutting straight edges. We started on the sides by folding the corners and cut a little at any places we needed to pull more tightly. And then we breathed a sigh of relief because the hard part was done! 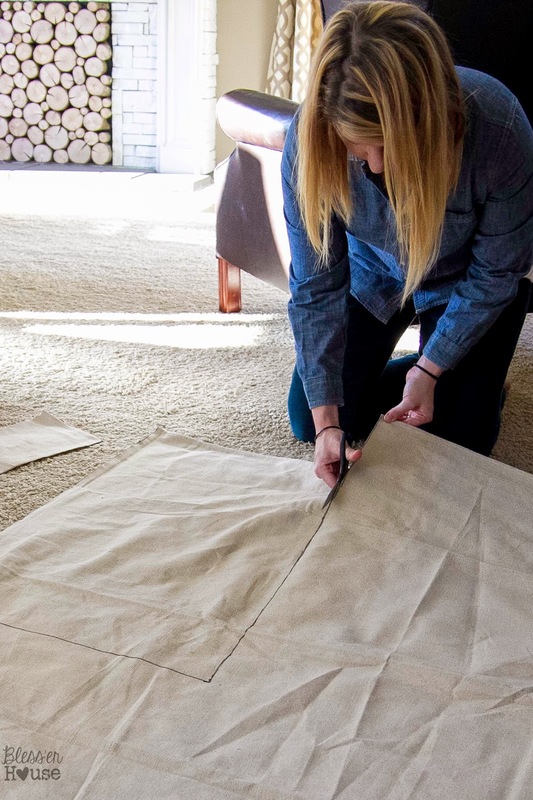 We went over the staples with a hammer and cut off any excess fabric on the back. 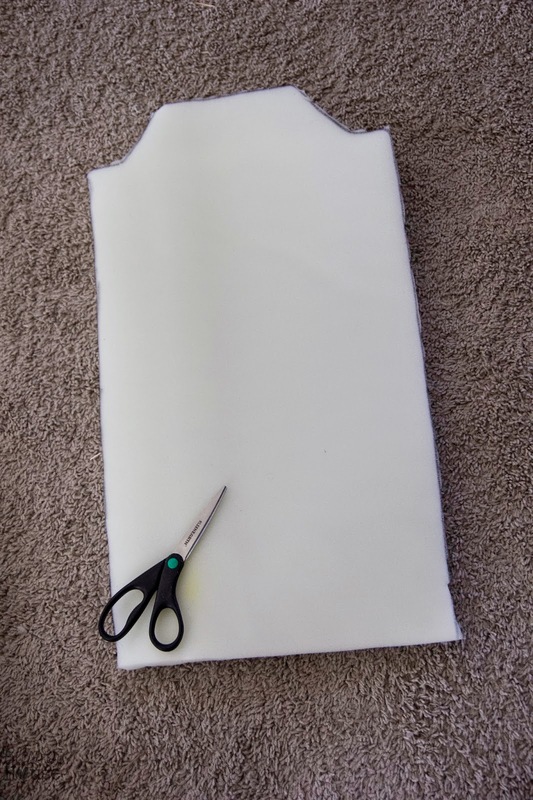 To make a back panel, I hot glued the edges of the cardboard cut-out and pulled the fabric tightly, starting at the bottom. For the top I cut the corners and pulled them to glue down. The edges of the panel and the stapled edges of the back of the chair got a good brushing of contact cement. After waiting about 10 minutes, I pressed the panel to the back of the chair. I applied hot glue under the edges too. Hey, look! An upholstered chair! Not bad for someone who is making this up as she goes along. I pressed out the wrinkles afterward too (this photo was a dead giveaway that it needed it). For the nailheads, we used a tape measure and a pencil to mark every 1.75 inches. 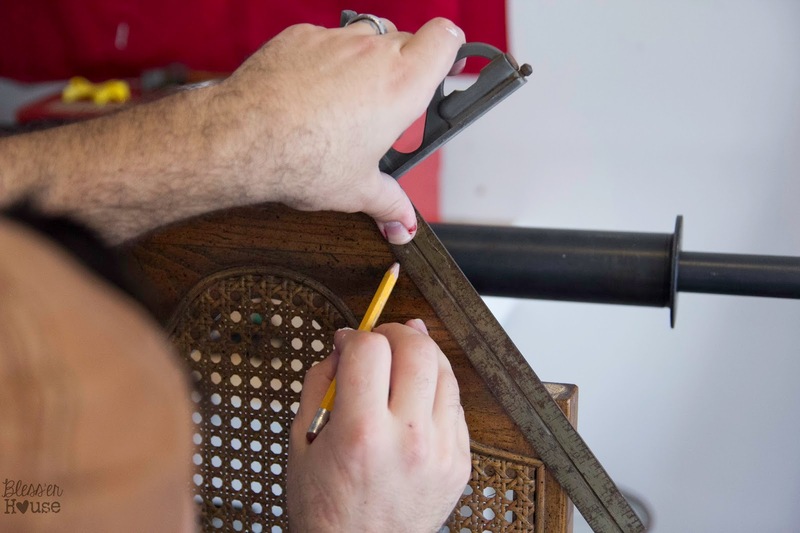 Since the wood of these chairs was so hard, we had to use a small drill bit first. Then, we hammered away on the nailheads. She insisted on handing the nailheads to her daddy the entire time. It’s definitely not perfect, and I have a lot of learning to do in the upholstery department, like how to wield a needle and thread for once. But I’m so proud of how it turned out. So now my dining room is looking a little more furnished. UPDATE: They’re all finished! And they’re mahhhhvalous. I still can’t believe how far we came on this project. You, my friend, are a ROCK STAR! I could not love this chair update any more! I am so excited to read you jumped out of a comfort box!! AWESOME!! Where is your antique store? Gorgeous, gorgeous, gorgeous! Did I mention I think those chairs are GORGEOUS!! You knocked it out of the ball park with this one, sister!! AMAZING! Know what’s CRAZY?? I have the SAME harvest gold cane back chairs in my garage, waiting to be refinished!!!! Seriously. I couldn’t even believe it when I saw yours. I have two as well 🙂 Looks GREAT Lauren! Ha! Too funny! I have no doubt you’ll make yours amazing, Heather. I’m still blown away by your last chair makeover. You’ve got skills, girl! In. Love. Your chairs turned awesome! What a project, but the results were worth it. Have a lovely week! This project turned out totally awesome! I am so jealous! I, also, have a chair similar to this one in need of a makeover. Maybe you inspired me to get moving on it? Great job! Yay! So glad it could provide some motivation. Hope the tutorial helps! Thanks, Ardith! It definitely took a lot of determination. Oh holy bleep you are so creative….I am loving the makeover you did! Believe me the next time I see some of those chairs I will not be passing them up after seeing how well they turned out! Thanks, Christine! So glad it could inspire you! Awesome! I was there for the transformation and I am STILL Amazed. They are REALLY comfy, too. It will be even harder than usual to get up from the Thanksgiving table this year! Thanks Mom! 🙂 Yeah, I’m just going to camp out at the table on Thanksgiving all day. Olivia loves sitting in them. Wow-what a transformation! the chairs look great and they look comfy too! Thank you! And they are very comfy! I am here to tell you that chair is as comfy as it is beautifu because I have sat in it! You have quite an eye for finding the diamond in the rough and the talent for giving it the jewelers touch. So proud of you and that man of yours. Thanks Barb! 🙂 I’m super proud of him too. I think how he was raised has something to do with it. Wink wink. Great tutorial for these gorgeous chairs! ! You and your helpers are rock stars! I am floored by this transformation! Thank you, Kelly! Definitely couldn’t have done it without my helpers. Wow, what a fantastic job! 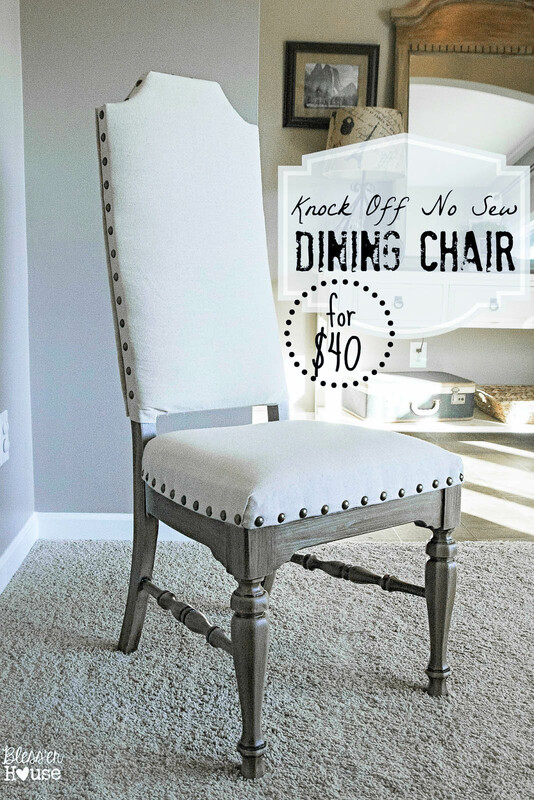 I too have been looking for a specific style dining chair to customize into a restoration hardware look-a-like. At least now I know that when I do find them, it can be done. Thanks for the inspiration and for sharing your technique with us. Your chairs are GORGEOUS! Thanks so much, Sheila! I hope you find the perfect chairs and this can come in handy. Beautiful! What an amazing transformation! Love that it’s no-sew! Thanks for sharing with us at Your Designs This Time! Thanks, Emily! I’m always a fan of a no-sew. Sewing needles and I don’t get along. Your chairs turned out great! Thank you so much for the inspiration to tackle my own set very similar to yours! Great job to you and your handy helpers! Thank you! I hope yours turn out well! WOW. You are one talented couple. Thanks for sharing. Beautiful job, excellent directions and photos! One question, wondering why you did not fill the back of the seats with foam before attaching the covered cardboard? Ah we did and I’m so glad you mentioned that! I’ll have to go back and edit that in my steps. We used more of the foam padding on the back side before attaching the cardboard. I’ll try to add a photo of it as we finish the others. Thanks! Thanks, Angela! That paint and stain combo took some trial and error to figure out but after nixing several other methods, it turned out to be the easiest. I’m drooling! those turned out so lovely! I love your blog, too. Thanks so much for the love, Rebekah! I never say OMG, because I think it looks tacky, BUT OMG WOMAN! You are a genius! I have a set of old chairs sitting in storage right now that look just like this! I am so making these. Wow. Thanks for this wonderful step-by-step tutorial! 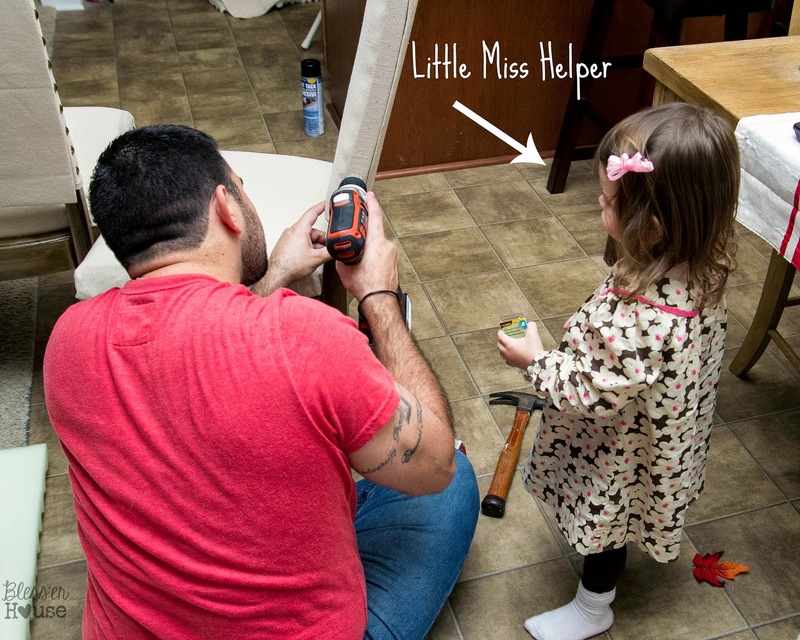 Your husband and daughter are adorable helping you. Shared on my SM – Coming to you from the weekend retreat! Thanks Ronda! So glad it’s worthy of an OMG! Haha If you try it out on yours, I’d love to see how they turn out! Send a pic to me when you’re finished if you can! Wow they look amazing! What a transformation!! Thanks for the invite, Grace! I will try and head over there as soon as I’m back at my computer. Thanks for the love! Thanks! I’ll definitely be there. Thank you, Laura! I actually did make the chandelier too. 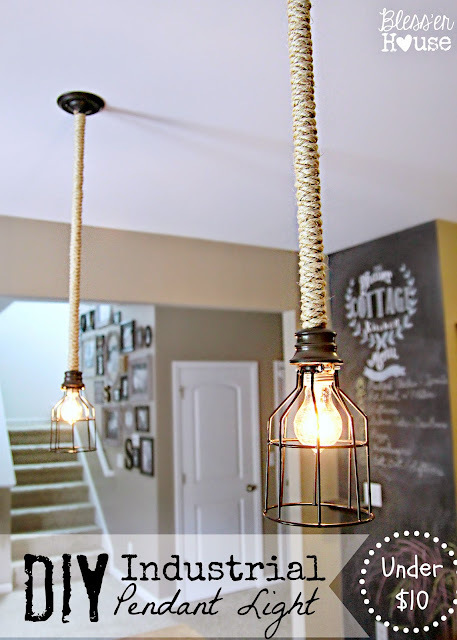 Here is the tutorial: http://blesserhouse.blogspot.com/2014/07/diy-restoration-hardware-knock-ff-rope.html?m=1 It really was pretty cheap to make. Just some rope from the hardware store, a glue gun, and a hula hoop. Thanks for the love! I’ll definitely put you on my link-up list. Hey Lauren, Thank you so much for stopping by my blog and linking up! 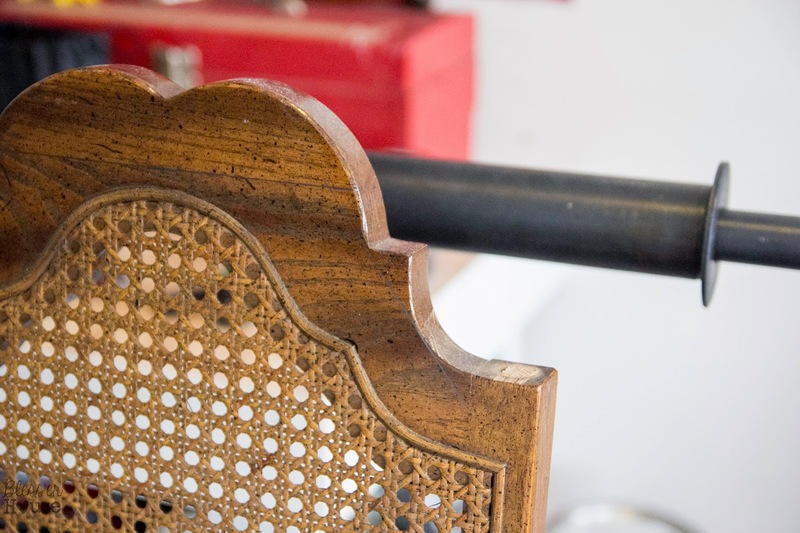 I am in love with these chairs…and I think you will see just how much this evening when the link party goes live! Thanks again for joining me at Totally Terrific Tuesday LInk Party! Ack! It’s taken me way too long to reply to this but THANK YOU! Thank you, Charity! I’m so with you on the RH junkie title. I could just live in a RH store and be completely happy with it. Fantastic job on that chair! Great knock off! They look fabulous! Great makeover! Saw your chair on “The Scoop Link Party” and I just had to come over to see how you did it. I am in the process of redoing my dining room set. So far I have painted the hutch. This meant removing the doors (which I hated anyway) and replacing the handles. The hutch is done, sans doors and I love the look! Now on to the table and chairs. I was thinking I would like to upholster the backs of the chairs and after seeing yours I think I definitely will! Terrific job and thanks for the inspiration! Awesome! So glad it could give you some inspiration! I’d love for you to tell me how it went if you try it! Lauren, this is an amazing transformation! You really take the cake! Thanks so much for sharing these at Grace at Home. I’m featuring you this week! Thank you, Richella! You are the sweetest! What a terrific job you did! Just simply gorgeous! Can’t wait to see what the arm chair chairs look like! 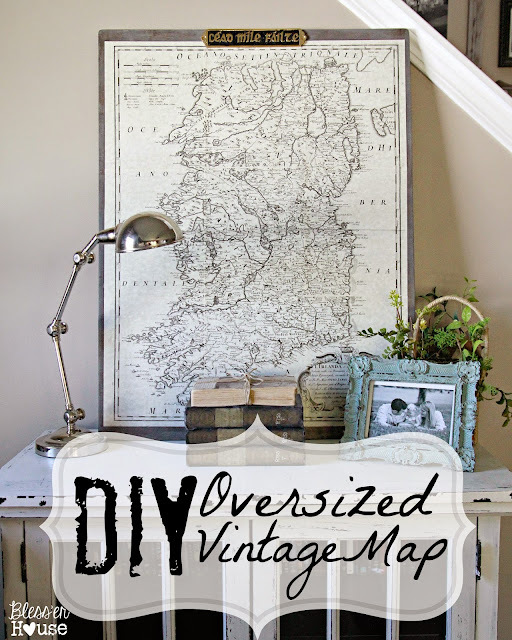 Over from Thrifty Décor Chick. Wow, the transformation is amazing. Love it, great job! The chandelier is amazing as well! You and your hubby have mad skilz! Incredible!!! I found the exact same chairs (and dining room table) at an auction for our son’s apartment. We replaced those yucky Harvest Gold seats with something a bit more ‘manly’ but didn’t know how to change up the cane backs. My husband also found 2 similar chairs on the side of the road (can you believe it?!!) The cane backs were damaged but they are still very sturdy. I’m going to try this idea with them. I was looking for a way I could replace the backs and your post is perfect!!!!! Thank you so much for sharing. If they turn out half as good as yours, I’ll post, too. Our son may decide to redo his chairs, as well. I love them!! You did such an Awesome Job! Thanks for sharing! I love the finish you put on the wood beautiful! Do you by chance have photos/tutorial of the other four chairs? I have a set with arms and was wondering how you were able to work your magic on them. Ahh! I’m sorry, I don’t. But I followed the same steps as the armless ones except before stapling the fabric around the sides of the chair backs, I had my husband hold the fabric up so that I could mark and cut around where the arms connected to the chair. I folded the ragged cut fabric ends under, held in place, and then stapled the fabric to the back. It was pulled so tight that the tucked under fabric around the arms wouldn’t budge. I hope that makes sense. The good thing about dropcloth fabric at least, if you mess up on your first try, it’s really cheap to do over. Great job! I would love to see how you did the arm chairs. Love your posts! Thank you! 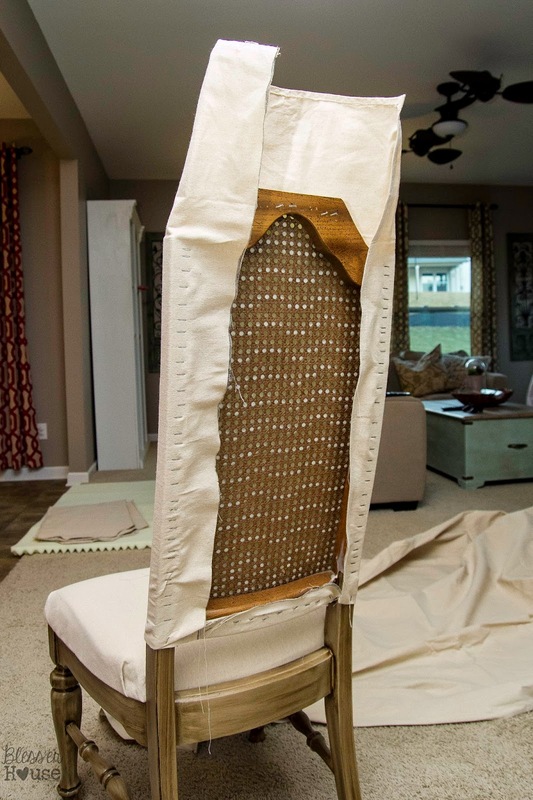 It was basically the same concept with the arms except when we got to wrapping the fabric around the sides of the chairbacks, I had my husband hold the fabric up and pull tight so I could line it up with the arms. 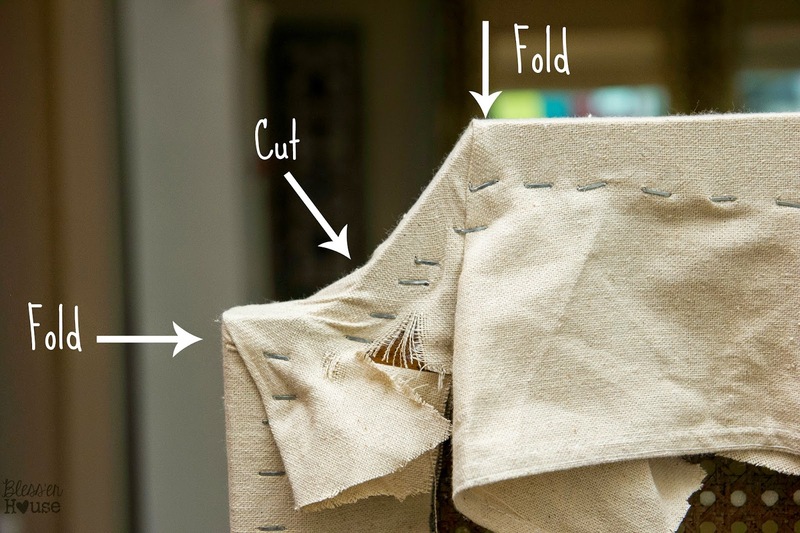 I cut into the fabric where the arms lined up, tucked the fabric under, and we stapled the fabric to the back of the chair like we did the armless ones. I am so impressed. The chairs look great. Your table would look nice if it was stained the same color as the chairs. I’ll bet you impressed everyone on Thanksgiving. For your first try reupholstering you did a really, really fine job. Thanks, Carol! I’ve thought about refinishing our table too. I keep going back and forth. The top is a veneer, not solid wood, so unfortunately I can’t strip it and do a new stain. I sometimes have to let furniture sit for months at a time until the perfect inspiration strikes. 🙂 Deciding what to do is the hardest part I think. Thanks for the love! OK, I have GOT to get me a few of these chairs and try this!! I absolutely LOVE what you did and the fact that you not only explained, but posted pics along the way. Thank you so much, these are stunning! Love the chairs! I’m going to try this on mine. What kind/color stain did you use? Thanks! I used Minwax Dark Walnut for the stain. Very impressive! I just viewed your home tour and I love your decor. Where can I find the throw pillows you have on your couch and chairs? Thank you, Amy! Our throw pillows with the French script actually came with our sofas when we bought them. The fabric is called Tea House French Script. Our other pillows are from HomeGoods. That’s quite a compliment, Gail! Thank you so much! These are BEAUTIFUL! I’ve always been nervous to reupholster. I’m glad someone else stays far away from the sewing machine! 🙂 I was just wondering, did you sand the chairs before you primed, painted, and stained them? Thanks, Haley! I avoid sewing machines like the plague. We get into fights and it’s not pretty. And the sewing machine usually wins. Haha Before I primed, I attempted to remove the varnish with a stripper, and it was not a fun experience. You could really just prime over the varnish, especially using Kilz, and it should work just fine. 1) I saw in a previous comment that you put foam on the backs of the chairs as well. 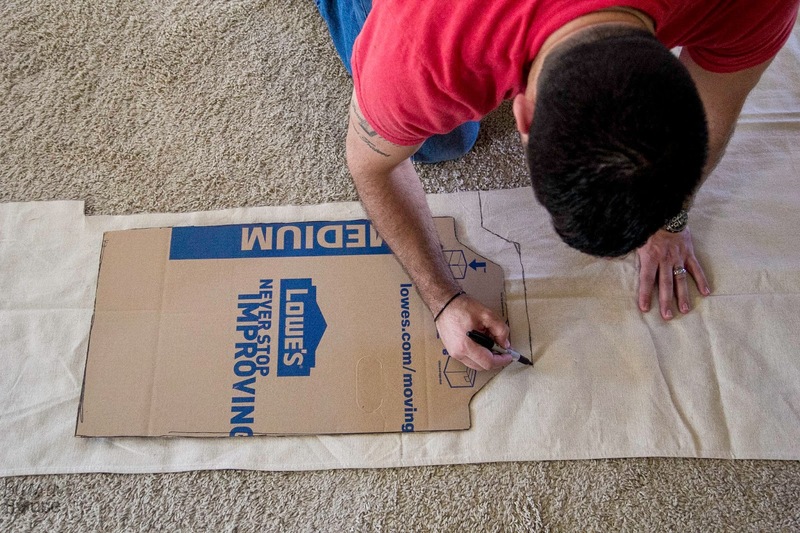 Did you put it on the outside of the cardboard? Also, was it the same 1 1/2 inch foam you used for the other side of the chairs? 2) Now that it has been a few months since you have done the chairs, is there anything that you would change or do differently? Thanks for your help. Any input would be greatly appreciated! Yay! Thanks, Heather! To answer your questions, I put the same type of foam I used on the front on the back. There would have been space between the cane backing and the cardboard because of the chair back frame, so I cut out some foam to fill in that space. Now that it’s been a while, I’d probably seal the chairs with a matte spray sealer. Rustoleum makes a good one I really like. The stain has worn a little in a couple of places that I need to touch up, but sealer should solve it. Do you happen to have pictures of the chair with the arms. Did you cut them off? Hi Melissa! 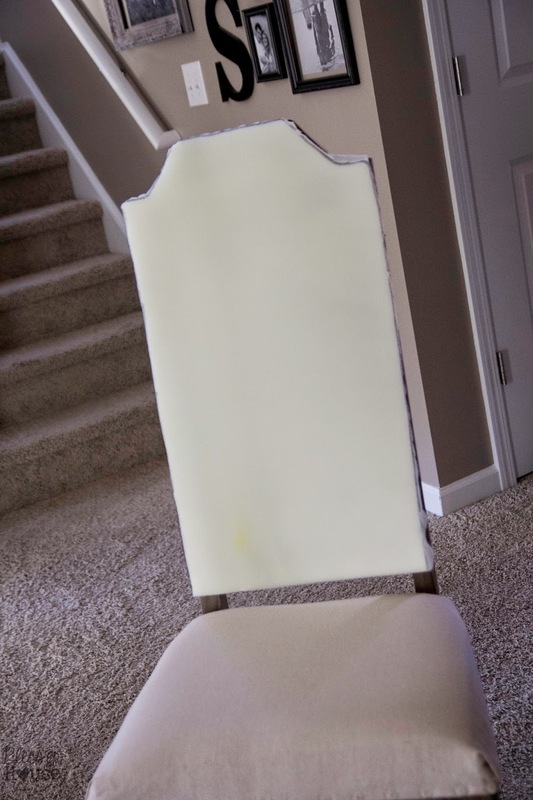 Here’s a post with all of the chairs finished, including the ones with arms: https://www.blesserhouse.com/2015/04/media-stand-to-buffet-table-makeover.html I attempted the ones without arms first as I figured out how to do it. great job! Beautiful! I did upholstery makeovers to my dining room chairs however, the did not turn out as well as yours. I learned some tricks for upholstery from what you did to your chairs. So glad it helped, Kimmi! 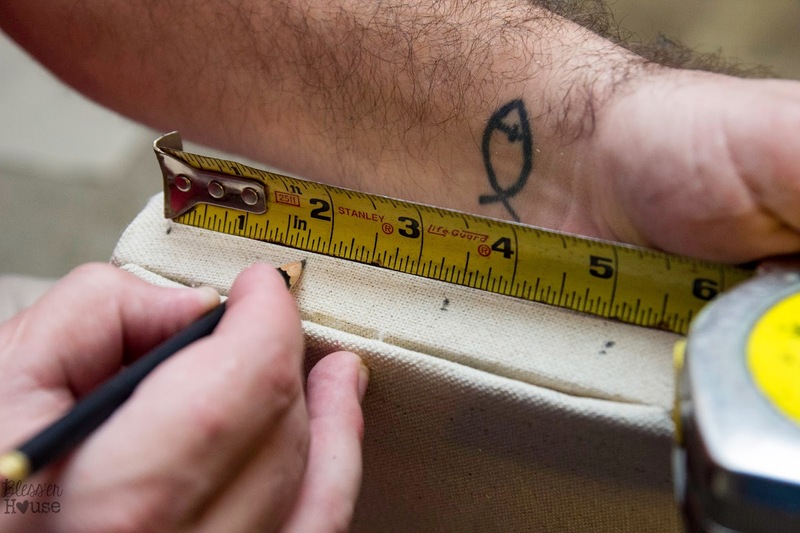 I haven’t braved any more upholstery lately, but it definitely is a learning experience. This is going to sound crazy, but I bought these same “before” chairs on Craigslist and several are missing the finials. I have looked for replacements and have not been able to find them. Any chance you saved yours and I could buy them?? Thanks! Ah darn! I’m sure we tossed them because they’re definitely nowhere to be found now. Maybe try Ebay? Very impressive! You really nailed the look you were going for. 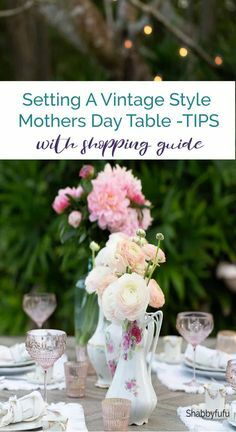 Are you going to paint the table to match? Please understand, this is not intended as criticism at all. Your chairs are lovely! However, I would like to add a few suggestions for others who are contemplating a project like this. 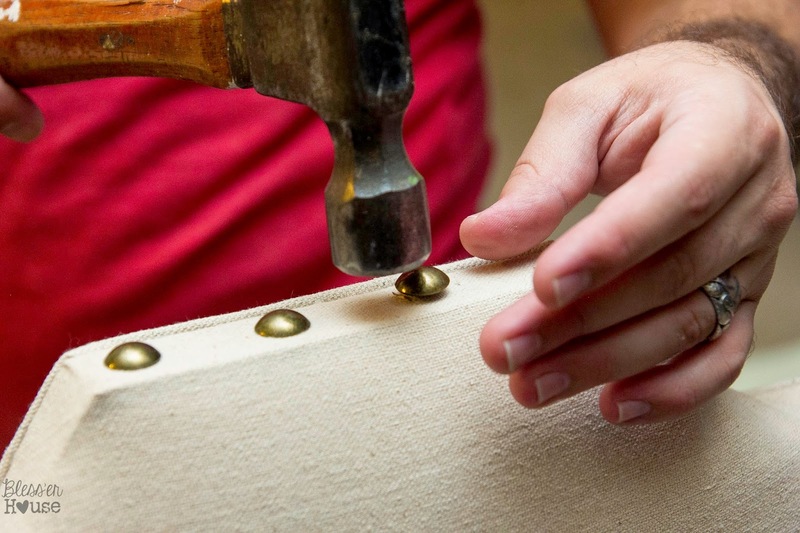 First off, there is a reason for using real upholstery foam. It is much more resilient, allowing you to pull the fabric nice and tight without collapsing the foam all the way to the frame. Also, the foam should be covered with a layer of batting. This, along with firmer foam, creates a very smooth rounded look along the edges. The next suggestion is not to try to use cardboard on the back unless you are using really light weight fabric. 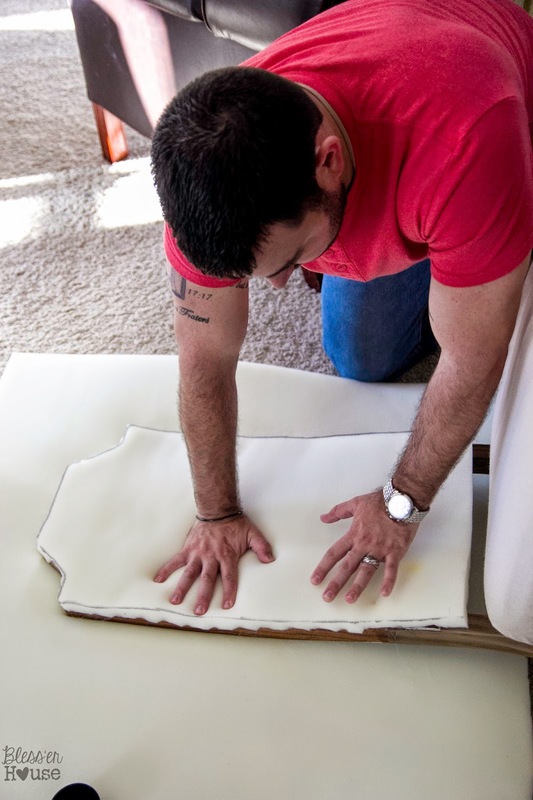 If you are using upholstery fabric, it will be too thick and stiff to effectively wrap around. 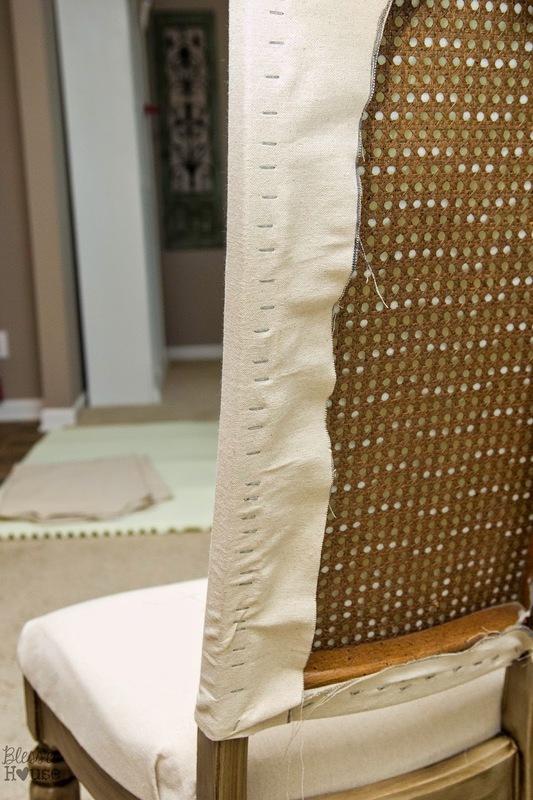 Use Curveease which is like tack strip for holding upholstery fabric. 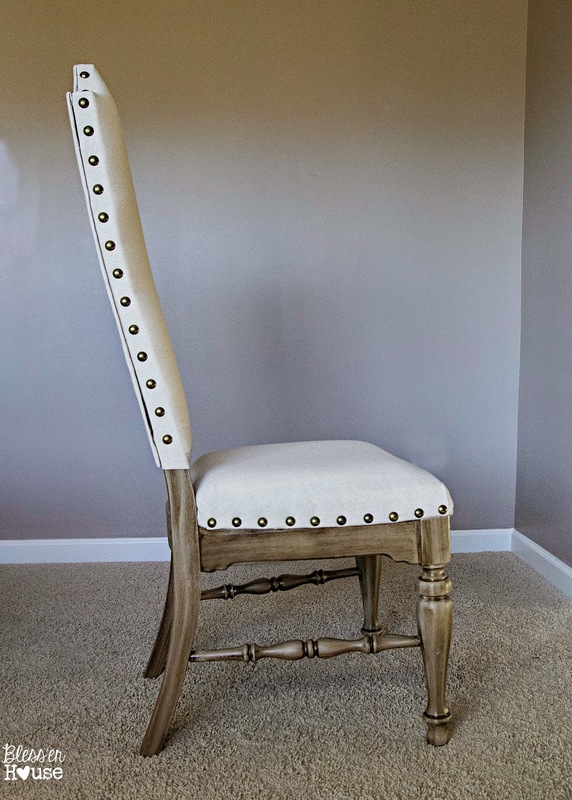 Curveease also allows you to get a nice tight back if you aren’t planning to use nailhead trim. Jealous!!! Girl, YOU did AWESOME! Proud of you – the chairs are gorgeous. Thank you for all the details of your process. Hi Lauren, I was wondering if you had to strip the varnish from the chairs at all. I did strip the varnish, but it was an extremely messy process. You could really just use a deglosser (liquid sandpaper), prime, paint, and stain. It would save a ton of headache and the results would still be just as good. Eu adorei o trabalho ! Ficou uma mobília moderna e nova . Parabéns ! LOVE this Lauren! I think you did an incredible job, upholstery work is very hard! Thanks, Gilly! And oh my gosh yes! I think these chairs ruined me for ever wanting to attempt upholstery again. It takes the patience of a saint to keep your cool. But it was sooo worth it! AMAZING! I had just looked at my dining room chairs and decided I might could paint them — except for that wicker type back. So, I went to Pinterest to look for ideas. AND THERE YOU ARE! You did an excellent job and I’m going to try this. 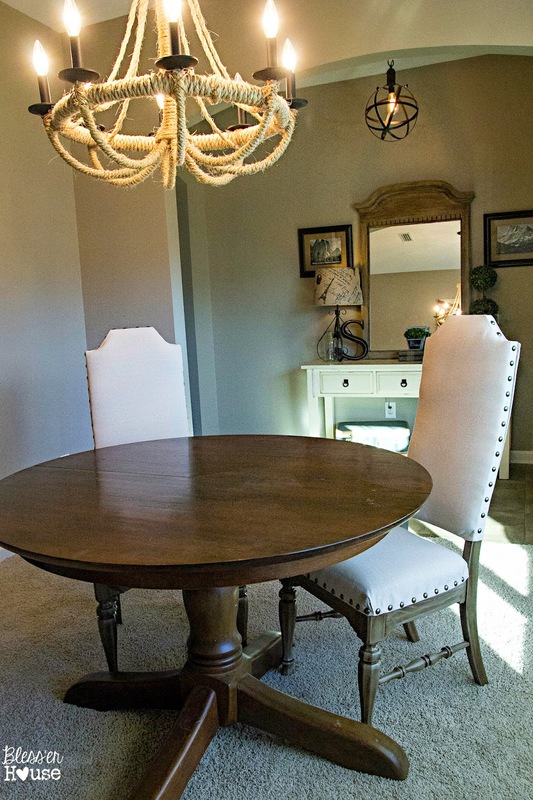 I had just given my beautiful dining room table and chairs to daughter because I wanted something narrower and that I could put a barnwood top on and found this dining set at a thrift shop, 8 chairs, two of which are arm chairs. Loved it, but wanted to paint the chairs. Thanks so much for sharing and solving my problem! That makes me so happy, Jeanette! I hope it works out for you. Please send me a picture of the finished product. I’d love to see! Hi, every now and then I come across chairs like yours but never bought them. WHY!!!!! !uugghhh Now, I’m going to try to hunt some down. LOL Yours came out great, beyond great, FABULOUS GIRL!! Keep up the good work and let those creative juices flow! Haha! I hope you get lucky and find some. I seem to see them on Craigslist fairly often. Thanks for the love! We’re still so excited how they turned out. Love this tutorial!! I am currently doing this to some chairs my work was throwing out and so far they look AWESOME! I’ve never done anything like this before so this may be a dumb question but… how did you reupholster the actual seat of the chair? I completely tore out all of the old foam and stuff that had been on the seat of the chair prior because of water damage. I looked through your tutorial but didn’t see directions on how you did that part. Any tips? I’m not sure where to start! 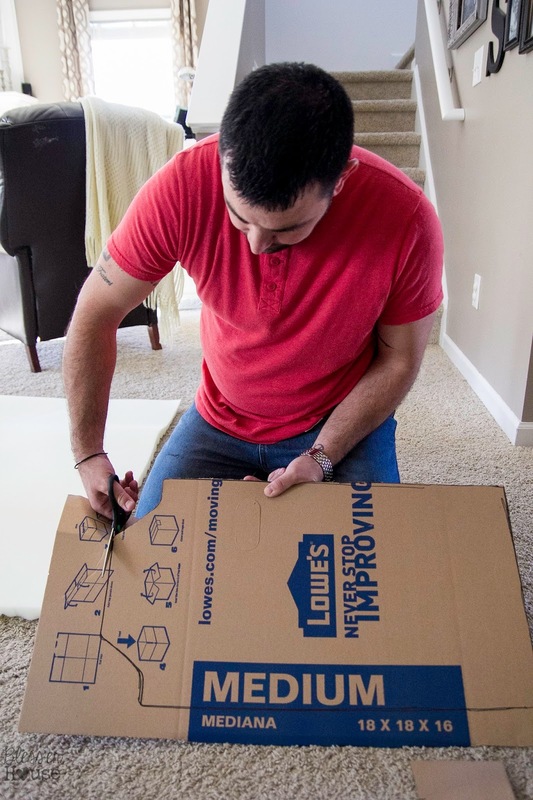 Did you use the mattress topper for the part as well? Did you put anything underneath? Help! Yay! I hope they turn out well! For the seat, I just wrapped it kind of like a present. I had even photographed how I did it and then my daughter decided to relocate my memory card. Still no idea where that thing went. So I’m so sorry! 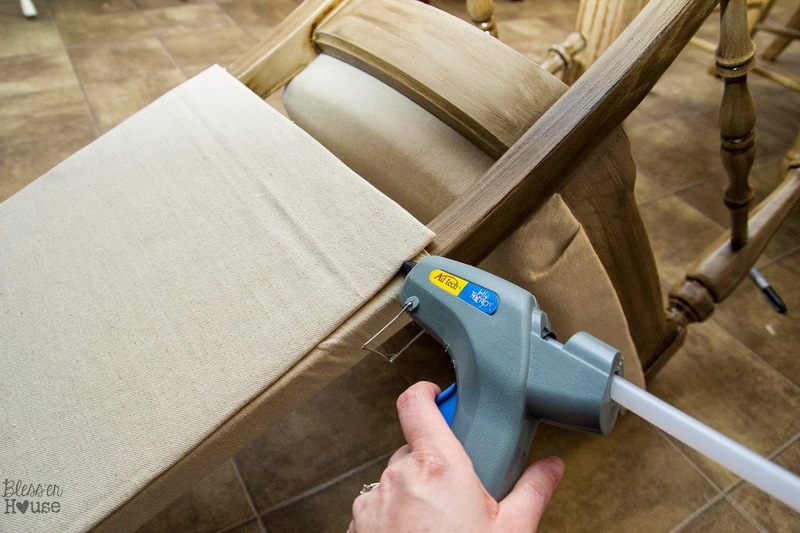 Here’s a tutorial similar to how I did it though: http://www.familyhandyman.com/woodworking/furniture-repair/how-to-reupholster-a-chair/step-by-step I didn’t have to start from scratch with the seat foam and batting, but there’s info in that link on how to do that. Since your table is round I would remove the arms. Even if you want to keep them if you remove them first, then you can cover the way you did and put the arms back on when finished. Hi! I love love these chairs and am following your directions and on my second chair. The problem I am having is the stain won’t dry on the chairs. 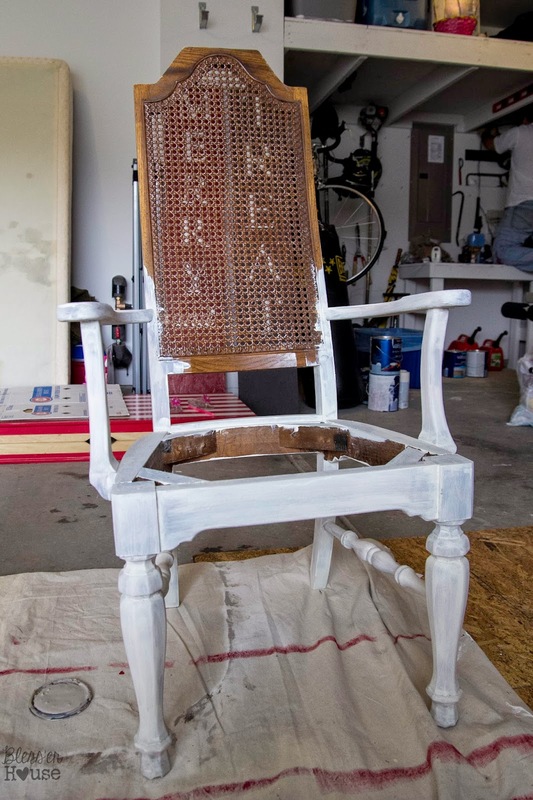 I am wondering did you paint primer on the chair, then the paint, then the stain? I saw primer on the list of materials but not in the directions so I didn’t use it. Just wondering if perhaps that’s why they are not drying. Can you let me know your thoughts on this step? Thank you so much in advance! Hi Christine! So sorry for the delay in getting back to you. I did prime the chairs first, then paint, then stain. But if you have a paint with primer built in, it should be okay. Another thing it could be is heat and humidity in your area. 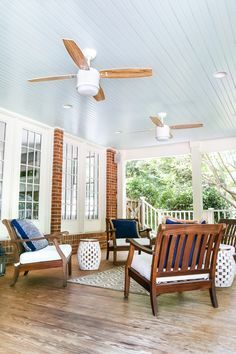 The summer months can be a bit tricky when it comes to paint and stain because the extreme temperatures can cause curing problems (I try to avoid painting on really hot or humid days). 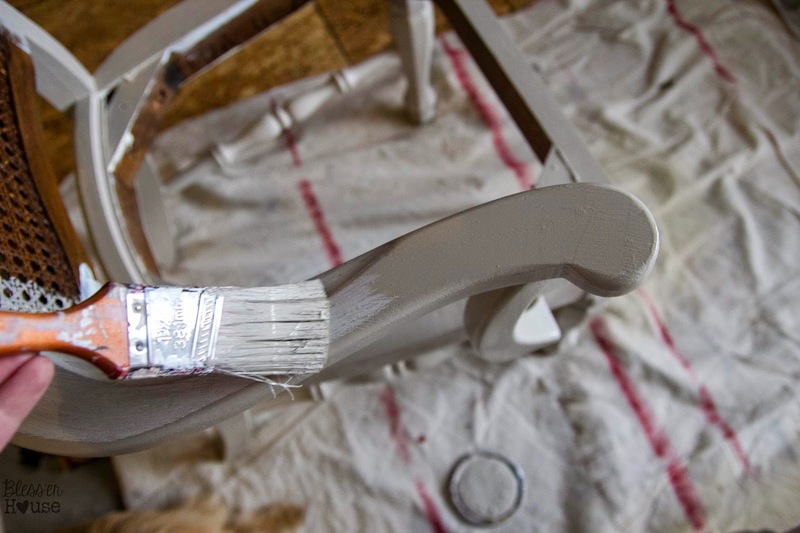 It will most likely dry but sometimes it takes up to a month for paint/stain to fully cure, and that might be what has happened with your chairs. That happened with my bathroom cabinets. If you painted or stained during a rainy day, even if you did it inside, the moisture in the air can cause some drying problems too. I hope that helps you out some. OMG! I am so glad I stumbled upon your tutorial. I have a set of chairs that I’ve been wanting to make-over. We recently got a metal top/ weathered walnut base table and didn’t want to throw away my previous almost black chairs. I’ve been looking for ways to make them fit the look of the new table, and I was afraid I was going to have to paint the entire chair one color (which I didn’t want) or part with the chairs and buy new ones. I did not know you can apply stain on any painted surface to create a masterpiece! Genius! I have all of the materials at home. Can’t wait to get started. Thanks so much! Yay!!! So glad it could come in handy, Irene! One little tip that I did go back to do. Add a coat of mat polyurethane on top of the paint/stain when it’s all finished. That should provide a good layer of protection so the finish can’t be rubbed or scratched off. Hope it works out if you try it! I’d love to see a pic when you’re finished. Congratulations on a well done makeover – it looks great! Thanks! I put the upholstery tacks on the seat edge so they’re not attached to the wood part or anything. I love your dining room!!! I too have a garage- (and back porch-full) of projects on the maybe-I’ll-be-brave-enough-someday list. Great job on this project! It gives me some inspiration and hope to dig in to some of them! Thank you, Cyrrah! I bet a lot of us avid DIYers have that junk pile of “someday” projects. If it weren’t for my husband being my voice of reason, mine would probably be bigger. Haha! What kind of fabric did you use? Where did you buy it? 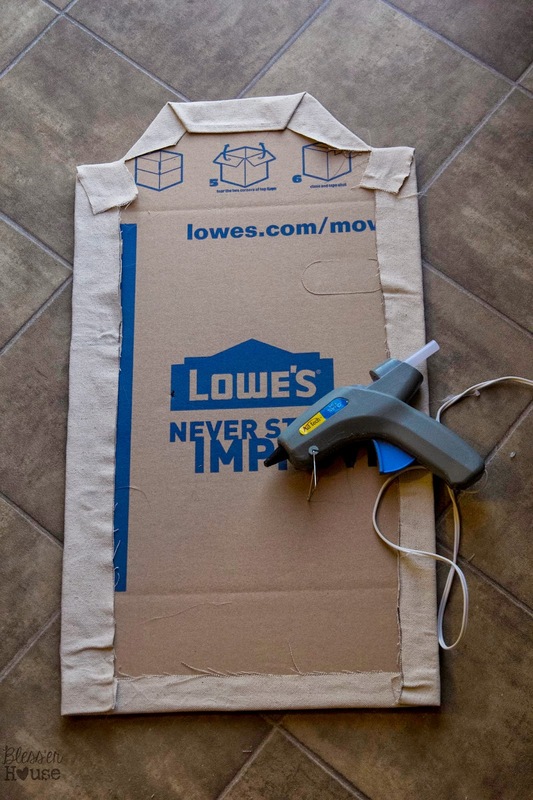 I just used canvas drop cloth. I believe mine was the Blue Hawk brand from Lowe’s. Hey I know this project was from a while ago but just wanted to say your chairs look ten times better than the expensive ones from the store. GORGEOUS! Wow! Thank you, Sabine! What a compliment! I have this exact same set of chairs (the table was refinished, but it was given away 🙁 long ago, and I have no idea where it could be). I had the chairs reupholstered when I got the set back in the late 80’s. 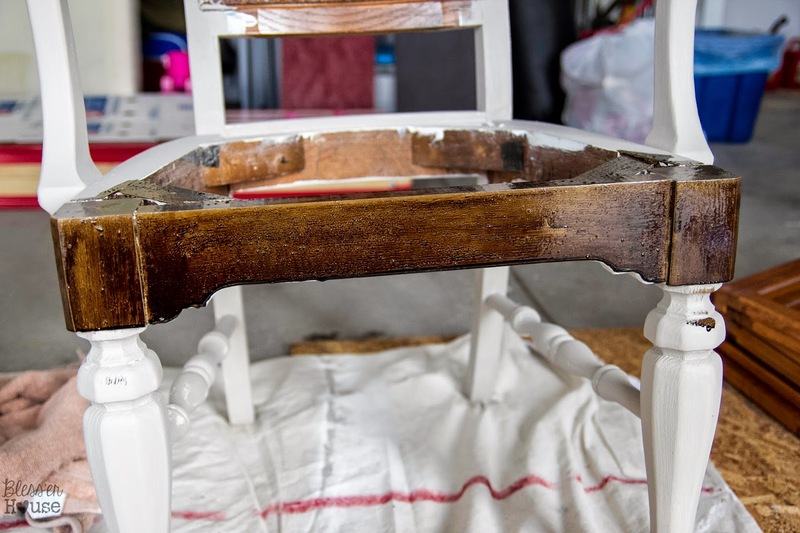 But over the years, billfolds, little feet and belts tore up the caning on two of the four chairs. So I stored them. Guess where? You got it! They have been in the shed for at least 10 years, waiting until I could find something to do with them. They are such sturdy well built chairs, I just could not part with them. Looked for someone to re-cane them, but it was very expensive. My daughter sent me a PIN to ask me if I would help her reupholster a couple of her chairs, and I told her I would give it a shot. 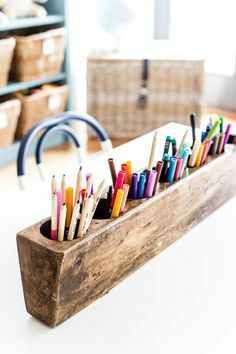 Well, of course, any project will send me into a Pinterest search frenzy for how to do something, and this is the first PIN that I saw. I. LOVE.THESE.CHAIRS! Thank You, Thank You, Thank You, for sharing!!! YAAAAAY! That makes me so happy, Vikki! I’d love to see a picture when you finish them! It’s a labor of love but so worth it. I love love love these chairs and was wondering if you have photos of how you did the seat cushions. How you did the nail heads around the seat. Thank you so much for the inspiration. Ahhh I don’t actually. But you can search “upholster seat cushion” on Pinterest and some great tutorials show up. Mine somehow disappeared from my memory card. For the nailheads, I just measured every inch or two (can’t remember the exact measurement I used) and marked it with a pin, then pre-drilled the hole, and used a mallet to put in the nail. Hope that helps! Wow, these are awesome looking! I am planning on doing the same thing with my chairs that I have. I just have a question as to how stable the back part is with the cardboard backing! I am thinking of doing the same with that as well but I am just curious if they bend in at all if they are hit and what not. But again, these are awesome and I am heading onto my first chair refurnishing journey! Hi Melissa! The back part is really sturdy actually. I put more of the mattress foam between the cane back and the cardboard to give it extra stability. It would take a great deal of force to bend them in. Hope that helps! Oh that’s just fabulous! You did such an amazing job! So far I’ve just tackled one upholstery project and it turned out ok, minus the hot glue gun burns! I think most people see a chair and don’t think out of the box meaning: you can add fabric wherever you want, you proved it and did such a nice job! How come half the pictures of the chairs have arms and the other half do not?? LOVE, love LOVE your newly upholstered dining chairs! You have inspired me to try this myself. Thanks so much for sharing your hard work…GREAT job. Yay! Thanks so much, Debbie! Wow! Amazing! My mother bought almost the exact same chairs for $4 each but changed her mind about them. I wish I had the space, time, patience and skills that you do to take on such an awesome transformation! Although I’m not in the market for new chairs, part of me wants to keep one of them just to try and get the same beautiful results you did. Thanks so much for the inspiration and detailed instructions! If I’m successful I’ll send you before-and-afters. Awesome! Yes, it definitely takes a lot of time and patience. Totally worth it but there comes a time halfway through the process when you say to yourself, “WHAT was I thinking?” Ha! I’d love to see a before and after if you try it! Hello! These r beautiful! I have 6 chairs that were my grandmas that I have inherited and plan to revamp them like this and they are almost this exact style! I was wondering about how your canvas has held up and how it is cleaning them? Thanks! I love your blog! Yay! I hope they turn out well if you do try it out! Our chairs have held up great! Granted, we don’t use them every day because we usually eat at our kitchen table for most meals instead of our dining room, but they’re in perfect condition still. I did spray the canvas on all of the chairs with Scotch Guard and sealed the wood finish with polyurethane, so that has helped a lot in keeping them protected. How did you do the seated part? I am a complete rookie and clueless. Taking on a project with 6 chairs! Eeek! I wonder how well this would work for chairs where the caning is cracked, broke and warped. I think it could work great actually! Will this painting technique work on laminate or just solid wood? I haven’t tried it on laminate before, so I can’t personally attest to that unfortunately. But I think with sanding and a good primer, it can work. Holy Cow you have a ton of comments! Love these chairs! You and your hubby did such a great job, and I would love to have a little helper too! Pinned your fabulous dining room. Thanks for the instructions. They seem to be quite the crowd pleaser. 🙂 Thank you so much for all the love, Stacey! Great job. I would have no problem with eventually completing one chair. The fact that you did ALL of them floors me. I may lack focus. I rarely comment on posts, but this is an awesome tutorial. I have these EXACT same UGLY, OUT OF DATE CHAIRS (I did recover the seats at one point. ), but could not bear to throw them out because they were my great aunt’s and-like you, I knew they had great bones! I’m not going to be able to sleep tonight due to my excitement to redo these in the am. Thanks again for the awesome idea…??? Ahhh! Yay! So glad to hear that, Kimberly! I hope you get to do it and it turns out well for you. 🙂 Ours our super sturdy and very well made, so I know the feeling about not being able to bear the thought of throwing them away. What a wonderful wonderful woman you are for posting this (along with every step)!! I have all of these supplies and 4 chairs from my last dining set that will be perfect for this project. I have the supplies from my drop cloth head board with the same nail heads. I can not thank you enough! YAY! So glad to hear that, Nichole! I would love to see them when you’re finished. It’s definitely hard work but so worth it. I am wondering how the chairs have held up? I have tried to “hot glue” things in the past and found that over time the glue gives out. Wondering if you have had any issues with that. Our chairs look exactly as they did on Day 1 so far, and we’re very happy with them. If they ever pop open, I’ll look into a stronger adhesive method, but they’re great right now. I inherited my in laws dining room table and chairs. The table is perfet, but the 1960s chairs are dated and frayed. Not a strong sewer, I have been putting off redoing the chairs, until now. Your directions were so clear and so simple I am pulling all my needed tools together and planning a shopping trip for tomorrow to get anything missing. I hope to have this project completed this weekend. Thanks for the inspiration!! Yay! I am so glad to hear that, Dee! I have the same problem. Zero sewing skills over here. My hot glue gun and Heat n Bond are basically my best friends. 😉 Hope it turns out well for you! LOVE those chairs. I have six in my dining room, same gold. My husband hates them and they are so hard and uncomfortable. I can’t wait to try your project. Great instructions. Thank you very much! Thank you, Carole! Hope yours turn out well! Webbing? How do you not fall through the chair when sitting in it? Thanks! Thanks for a kick in the seat of the chair. I have a similar project that I’ve been putting off, even though it will be about one-tenth as difficult as yours. The fabric that I found at a discount outlet has been sitting folded up in a closet for six months, patiently waiting for its debut. Which reminds me: If you decide in the future to redo these chairs, be sure to check out any discount place that sells precut fabric lengths. The 54″ Waverly fabric I bought retails at $24 a yard. I had to buy six yards, more than I needed, but for $3.99 a yard! Ooh good tip! Thank you, Mandy! I am confused. Some of the pictures you have posted have arms and then other pictures do not have arms? I’m sorry I should clarify, how did you wrap the cloth around the arms on the 2 chairs? Oh, I’m sorry! I misunderstood. 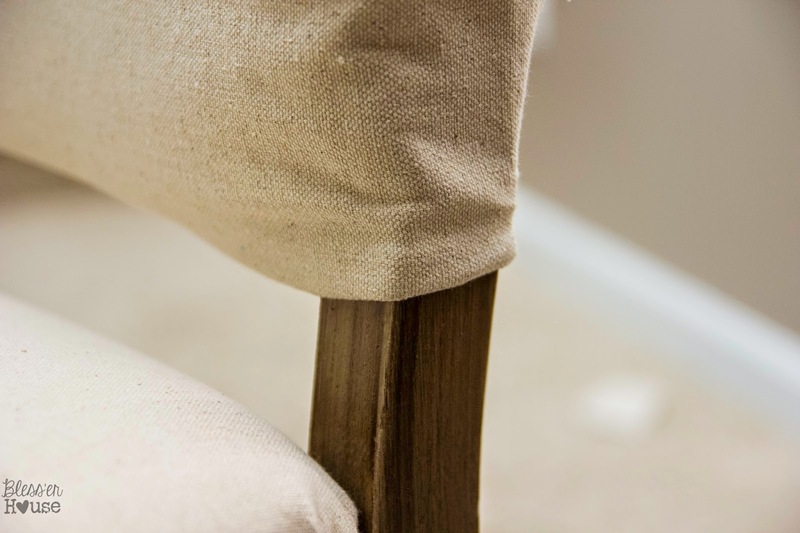 While my husband pulled the cloth up tight on the front side of the chair, I used fabric scissors to snip two slits where the fabric met up with the arms and tucked it under. Then stapled the rest of the fabric around the back of the chair. We had four chairs with arms and two without. We tried out the armless ones first as we got the hang of it and then moved on to the ones with arms. Hello, I love the final look of your chairs. I am recovering some parson chairs and I tried the same technique on the legs as you did. The min wax stain is not drying. It is tacky to the touch. Did you run into this problem? Any advice for me? Oh no! Is it hot and humid or rainy outside where you are? Sometimes that happens to me when it’s humid, especially in these late summer months with paint and stain. Whenever I end up with a tacky finish problem, I usually have to wait, sometimes an entire week, and the stain eventually dries until it loses that sticky finish and I can finish it with a polyurethane on top. I’m sorry; I know that’s frustrating. I’ve totally been there. See if giving it more drying time makes a difference. You are “da bomb dot com”. You have given me hope for my old dining chairs. Thank you. Yay!!! Glad to help, Dani! The instructions . Your chairs look sooo beautiful.Congratulations! Glad to help! Thanks, Mercedes! Amazing AMAZING job. Those chairs are to die for. Definitely inspired!! Right?! Restoration Hardware who? So glad it could give you a kick start, Susan! Oh my goodness! I couldn’t be happier I found this tutorial. I wanted to get a new dining room set but when I realized the cost I couldn’t believe it and decided diy was the way to go. I went on the hunt on pinterest and what’s so amazing is I have the EXACT same set of chairs. I will be starting this project in a few weeks! No way! That’s awesome! Hope they turn out well! These are great! I just bought similar chairs and needed some direction. Sorry if you have answered this somewhere else in your post, but how many drop cloths did you purchase to cover the chairs? Yay! Glad it came in handy. 🙂 Hope it turns out well! Those chairs look great. Inspiration and motivation for me to do mine. I love the paint on your chairs and am planning to paint 2 dining chairs with this same finish. I was concerned about the Valspar flat paint I purchased being intended for ceilings and walls. (Their furniture paint has a satin finish.) 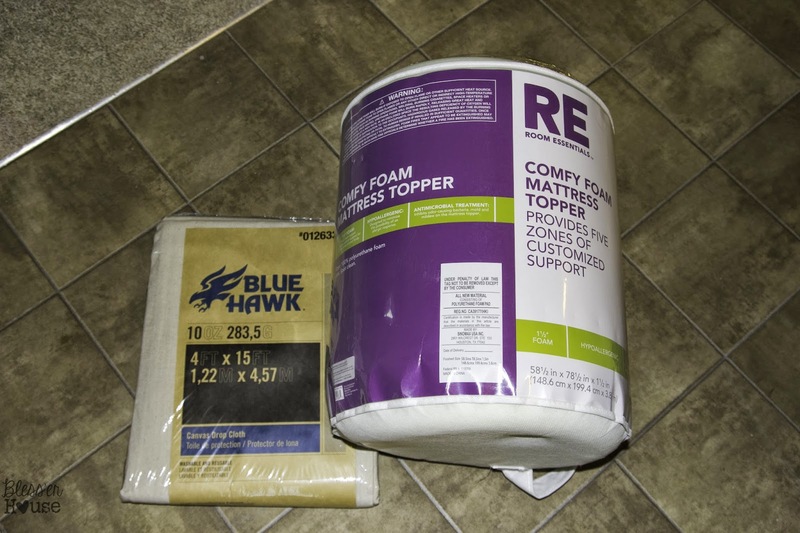 I ended up buying the flat paint as mentioned in your post, but called Valspar just to confirm that it would work ok on chairs. 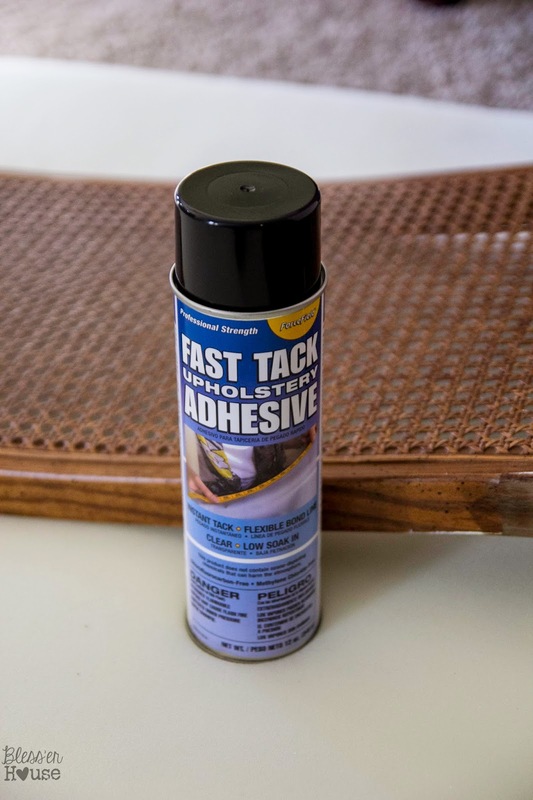 When I mentioned it would have a stain applied over it, they stated this would not hold up for very long and would crack after a short period of time. They may be extra cautious in their suggestions and am wondering how your chairs have held up 2 years later with wear and tear? Did you choose a flat furniture paint or the flat|interior paint? 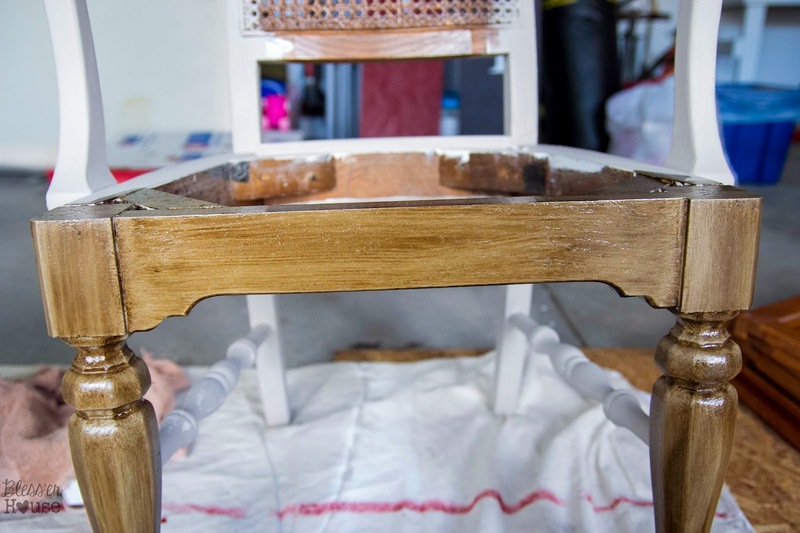 Would you choose the same paint and stain again? Thanks in advance for your response! Ours have held up great! Yes, mine was the flat interior paint too. We did use a polyurethane to seal it though, so that is very important in keeping the finish lasting. Granted, these were in our formal dining room, so we didn’t use them as often as the chairs around our kitchen table and they didn’t get as much regular wear and tear, but we couldn’t be happier with them. I’ve had other people use the same method and they’ve told me theirs turned out great. I can’t remember how much we used, but it was definitely quite a bit. We didn’t go lightly with it. 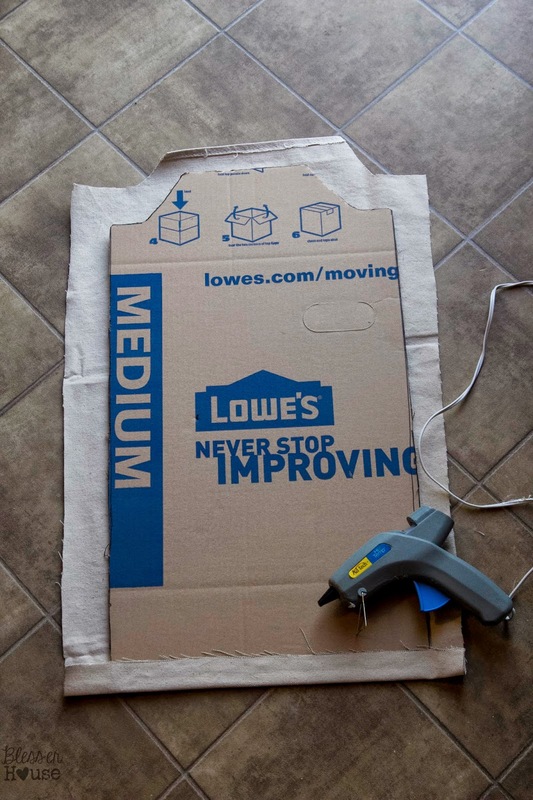 We applied it to the cardboard backing though and used the glue gun as well on the edges. It’s held up well for a few years! So glad ours helped give you some direction! I know I’m late in finding this post but coming across it today was a Godsend! 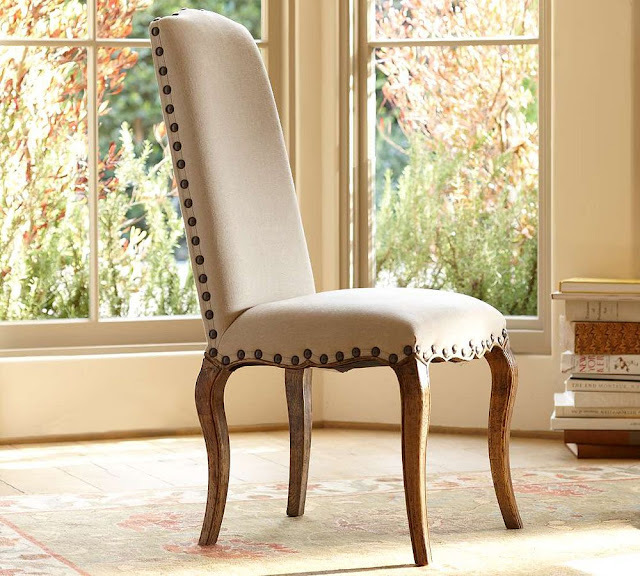 I have ladder back chairs with gorgeous cabriolet legs that I’ve been searching for a way to update. Within an hour of reading this post, the legs were painted with ascp cocoa and dark waxed. They look amazing thanks to you! I also ordered a foam topper from Walmart and will be anxiously waiting its delivery so I can upholster them. Thanks so much for sharing your creativity! Love your blog! Yaaaaaay! So glad it helped, Karen! I SO relate to what you said in the beginning of your post about your sudden (in my own words) “bursts” of diy ideas that start out a LOT faster and with more gusto than your “know-how!” I totally resemble that remark…Although, looking at your blog, you are far ahead of where I am..in spades!! Anyway, had to send HUGE KUDOS to you for the GORGEOUS chair(s) re do! Absolutely looks like it came right out of a magazine! Aw thank you, Donna! It just takes a whole lotta determination. 😉 Best of luck with your bursts of ideas! What type of cloth did you cover the seats with? The name/color/brand ? Love this! I do like the curve in the top of the chairs, but, being lazy, I probably would have cut the corners at a 45, to simplify the upholstery. Possibly even cut the arms off all but 2 chairs. But that’s just me 🙂 I’m going to have to take a look-see at the chairs we inherited from hubby’s grandma (cane-backs that have broken) and see if this is a technique that might work. We still do have some messy little people, so I’m thinking a slipcover from the same material for their chairs could be a solution. Thanks for sharing your behind-the-scenes and being such an inspiration! I LOVE how you redid these chairs! I know this has been awhile since originally posted but I would love some updated feedback on them. We are looking into starting a project like this but first I would love to know how they are holding up? 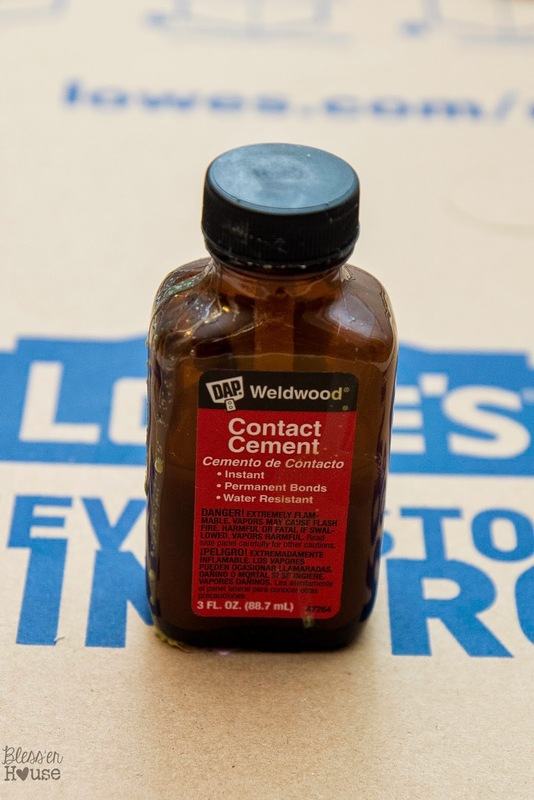 Wondering if the contact cement & the cardboard held up with kiddos? is there anything you would do differently now? thanks!! I would love to know how well these have held up? We are about to start a similar project! They held up like a champ! We’ve since sold them to the buyers of our old house but they held up beautifully for the two years we owned them. We didn’t use them every day, just for when we had guests over and for holidays, so that’s something to keep in mind. I had the exact same chairs years ago, I am so impressed with the final result. Well done you, I wish I had the crafty hands, patience and vision. ? What glaze did you use? First, the chairs look Great. Second, thank you for the step by step instructions. Many times the blogger assumes the audience has some experience/understanding of how to and unfortunately, I am usually left standing in the middle of my garage saying “What” and then abandoning the whole thing. I require step by step as well as an explanation as to why. Hi Lauren, These chairs look awesome! And your blog is packed with great DIY projects. Thank you so much for the thorough explanation of how to refab these chairs. The various pictures really helped! So excited to follow your tutorial for my own chairs! I had reupholstered our old cane back chairs about five years ago, but just put upholstery where the cane back was and now they are getting old and ready for a new look! I was wishing I could afford to buy a new set of parsons white leather chairs, but I am so so so glad I can follow your tutorials and upcycle my own! Do you have any idea how much fabric you used per chair? Thank you! The chairs are gorgeous! I can’t wait to try this!! Do you know about how much fabric you used and how much of the egg carton you used? I have very similar sized chairs with backing like yours except 6 in total. It’s been a while, but I believe 1 queen size egg carton was what I used and it took the majority of it. 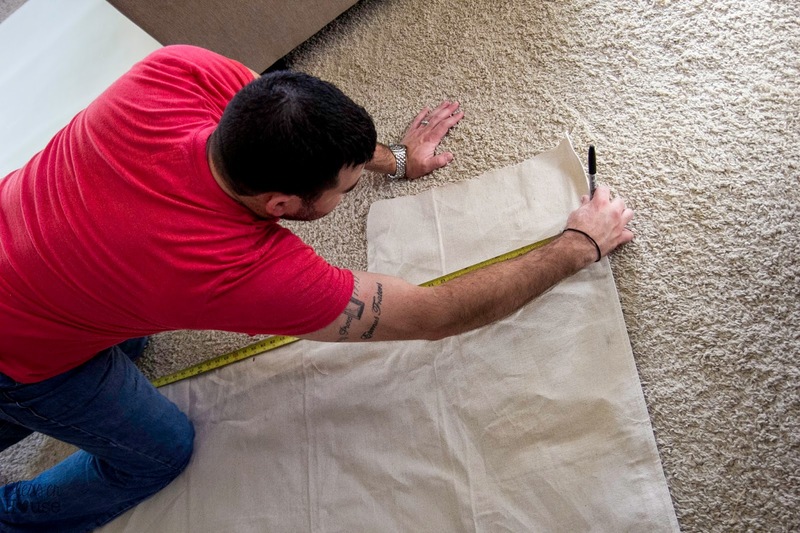 For the dropcloth, I believe it was the 12″x15″ size I used. That was for all 6 chairs. Hi – somehow I missed this post before. The chairs are simply stunning. Thank you for a wonderful tutorial! Lovely! Found your link on Pinterest. I’m excited and can’t wait to try ? Good luck. I am sure you will do great! Hi! I know it’s been a while since you did this but how are they holding up? Is the backing still stuck there? Thank you for the tutorial. I’ll be using it soon! Hi Krystal! We’ve since sold these chairs to the family that bought our old house, but when we left them they still looked as great as the day we finished them! They held up 2 years and were still going strong. I’m confused on the paint and stain part. How long did you wait until to stain It after you painted It? I got some kilz paint and sanded enough to get the gloss. I also tinted the paint to grey to skip the Valspar step. Should I not do that? Do I need to sand after I painted and before the stain? Generous amount of stain? I love that color and want that similar design. I love these chairs. I am in the process of doing the same. I bought the exact same primer, paint and stain. After applying the stain, mine don’t have a wood looking finish. Mine look gray with a dark tint. Any ideas on what I could be doing wrong? Did you do multiple layers of stain? We live in a super dry climate so humidity isn’t an issue. I used a regular brush and not a foam brush. Could that be the difference? Hi Corie! Oh no! I’m not sure what happened then. I just did one layer, but I left it on the thick side. You could try a gel stain on top of the existing stain to see if that will work better. I wouldn’t do a second coat of regular stain though because it might feel sticky that way after it dries. Lauren, I have this dining room, table, 8 chairs and china cabinet from American Drew. First purchase my husband and I made after we got married in 1969. Thank you so much I want to update the “gold” color. I have looked at many dining chairs, but nothing is as sturdy as what I already have, in fact my grandchildren (9) have used them to learn to walk. 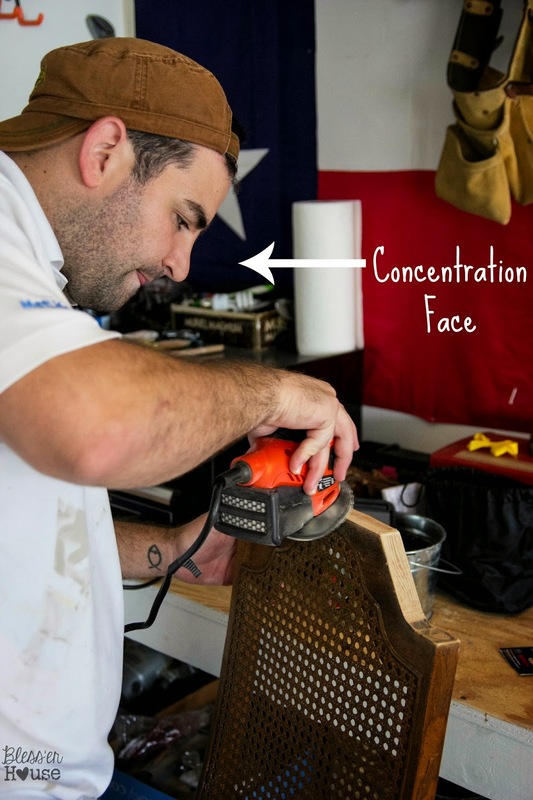 My youngest grandchild was using his other grandparents dining chairs in Texas and the chair was not as well balanced fell on him and almost cut his tongue off, After this experience my daughter said Mom your never getting rid of those chairs, I never realized the quality of them until now. (grandson recovered after surgery) Next year will be 50 years and the dining room now holds 23 for family dining. Thank you so much. They are beautiful. Your welcome Paulette. Glad your grandson is ok. 🙂 And you better listen to your daughter! Sounds like you have an awesome dining table in need of a little updating. Enjoy your family and many dinners to come. I appreciate this post is old but fell into my lap at such a great time Recently retired ( light wood tile ) and really don’t want to toss dinning set. I am confused with some of the pics Some the finish has a more grayish wood tone ( my goal) and others more of a ash wood tone if that makes sense. It’s all beautiful and if accomplished will be amazing. I had thought of the Annie Sloan paints but want to achieve your exact results Table is large and think the stain would give more demension to it. I want to treat both table and chairs. Your thoughts would be appreciated. What a lovely job and the instructions were so detailed! 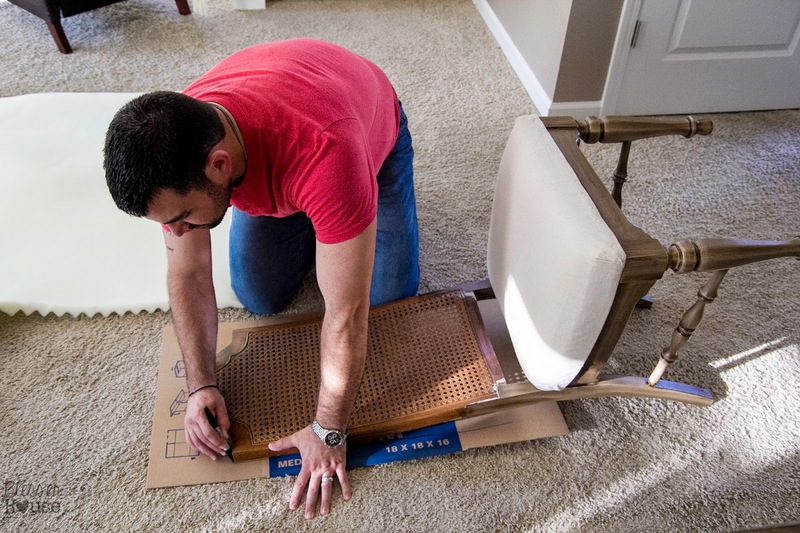 I wanted to let you know that there is a product to use (to attach the back to the chair) that provides for a more stable, permanent connection. 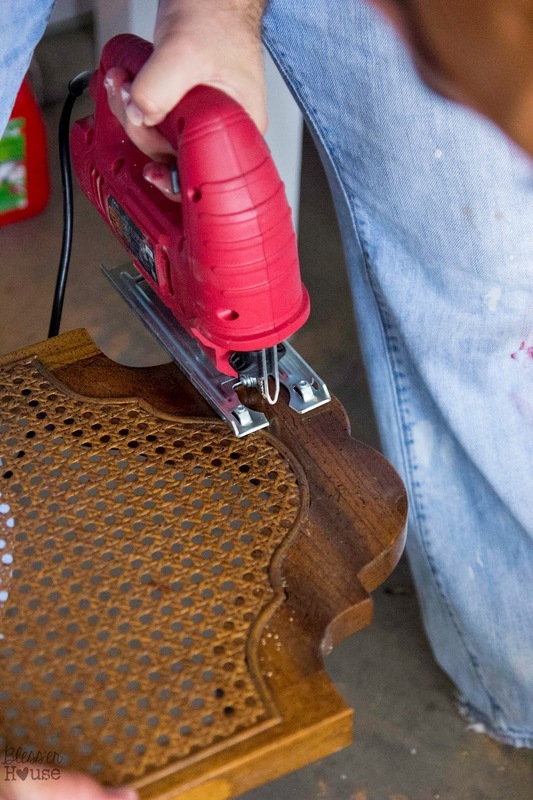 I just used it on an upholstery project and it worked so great. Hi, great project! Very inspiring! I was blessed with similar 1980’s dining room set. I love what you did with chairs, I’m wondering did you do the same weathering, walnut stain to table, or just chairs? 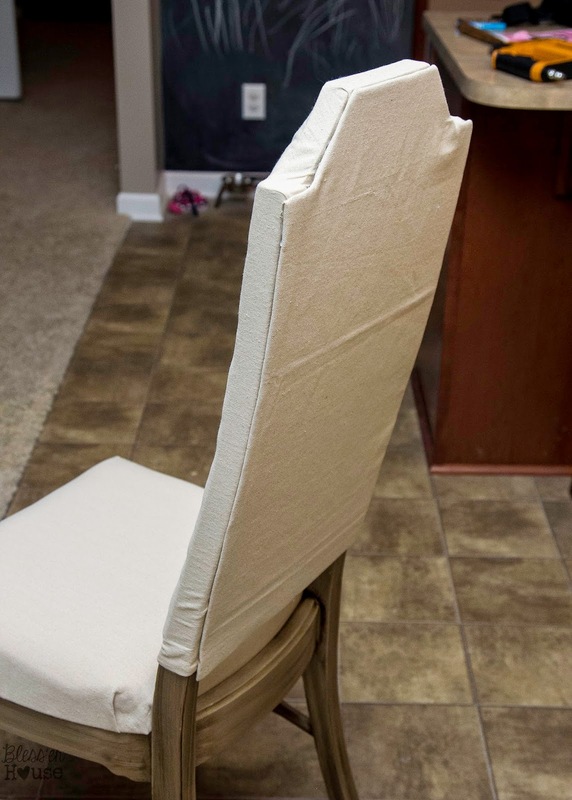 Hi Lauren, just saw your knock off dining room chairs project ( I realize this was a few years ago) I love how you posted all the steps and showed all your supplies. This is something I may attempt as I do not like my oak set anymore. I can’t believe you just used cardboard for the back of the chairs . Haven’t looked at any table paint8ng if yours yet, but will look for it. Well done ! Oh and by the way, is Robert for hire.??? ? I just bought a table and 4 chairs for $125. The chairs are identical! Even the golden cushion. I’m SO excited you shared this! Hey! I’m so glad I found your project! 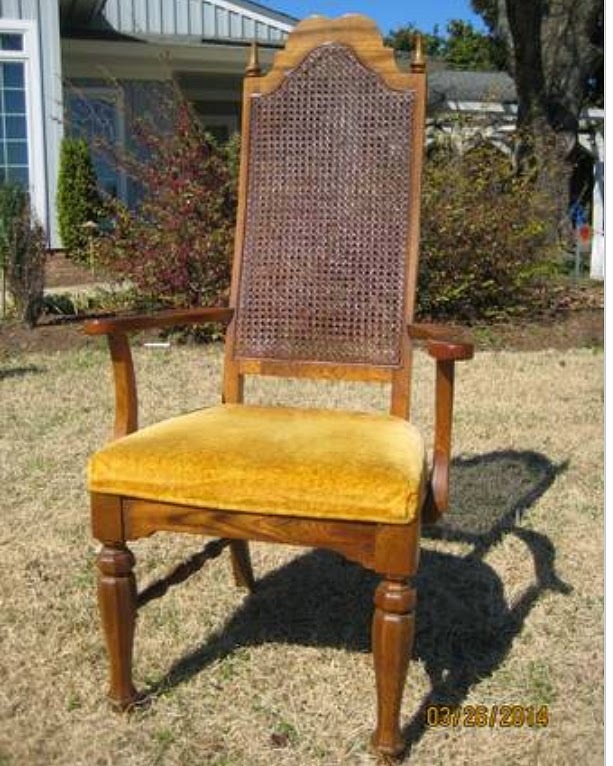 I have 6 chairs that are basically identical to this one (including the harvest gold fabric). I’ve pored over the instructions here and I see that it was done several years ago but I’m wondering if you remember any further tips on covering the ones with the arms? So glad to hear that! Working around the arms was really just a lot of trial and error. I cut the fabric around them in several different places near the arms and just tucked the fabric under the best I could. beautiful job!! Stunning vision realized! !